Dualite is a very rare and complex mineral of the eudialyte group, its complexity being expressed in its formula: Na30(Ca, Na, Ce, Sr)12(Na, Mn, Fe, Ti)6Zr3Ti3MnSi51O144(OH, H2O, Cl)9. The formula is simplified as it does not show the presence of cyclic silicate groups. 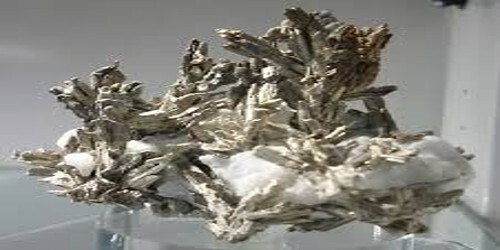 The name of the mineral comes from its dual nature: zircono- and titanosilicate at once. Dualite has two modules in its structure: alluaivite one and eudialyte one. After alluaivite and labyrinthite it stands for the third representative of the eudialyte group with essential titanium. Dualite was found in peralkaline pegmatoid rock at Mt Alluaiv, Lovozero massif, Kola Peninsula Russia. 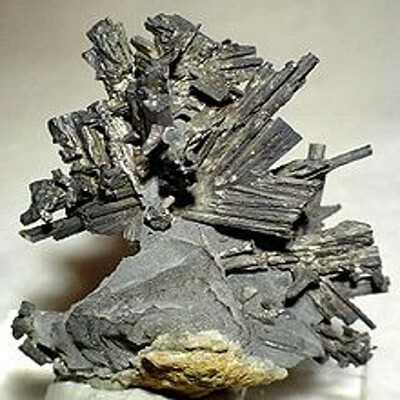 It associates with aegirine, alkaline amphibole, cancrinite, eudialyte, K-Na feldspar, lamprophyllite, lomonosovite, lovozerite, nepheline, sodalite, sphalerite, villiaumite, and vuonnemite.